Getting bored going up and down the coast and round and round the river? No? Well, us neither, but it's time to step out of your comfort zone guys. Luckily Perth is surrounded by many more beautiful walks that you may never have even heard of. We’ve uncovered 10 of the best walks near Perth that will take you from the beaten city paths to beautiful bush trails running through some of WA’s highest calibre scenery. They’re all within a few hours drive of Perth, so pack a day bag, make a date with your mates and discover these walking trails. They will blow your mind, and they're also pretty good for your Instagram cred. As part of the Wungong Regional Park, the open Jarrah-Marri forest and wandoo woodland make for a shaded trail, with fresh water creeks that run from May to November. While it's just 45 minutes south of Perth, you'll feel a world away and you might even get lucky enough to spot some endangered species of cockatoo including Baudins, Red Tailed Blacks and Carnabys. Only a 20 minute drive from Perth, the Butterflies, Birds and Bridges Trail is one of the most scenic trails in Canning Regional Park. 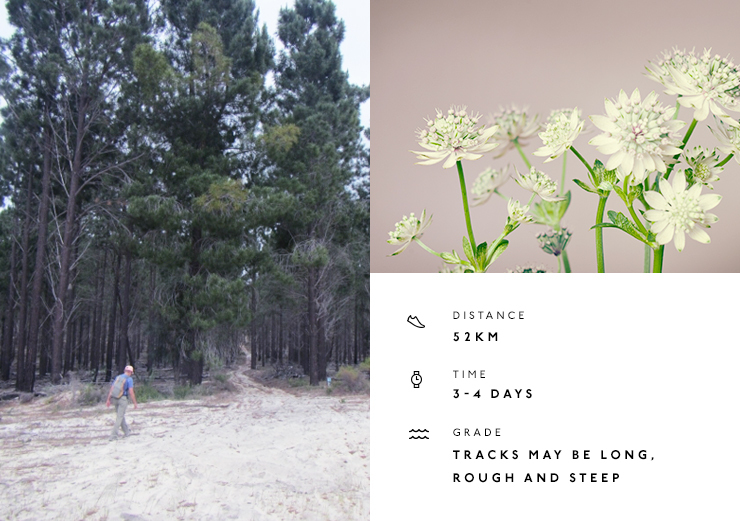 You'll walk through sedge meadows, mature woodlands, creeks and amongst the crowns of a paperbark forest. This lengthy but easy trail is the perfect weekend day trip, and with water access points and a cafe, it’s a trail that you don’t have to be too prepared for. This multiple day trail is for the hard-core hikers out there with a long weekend to spare. 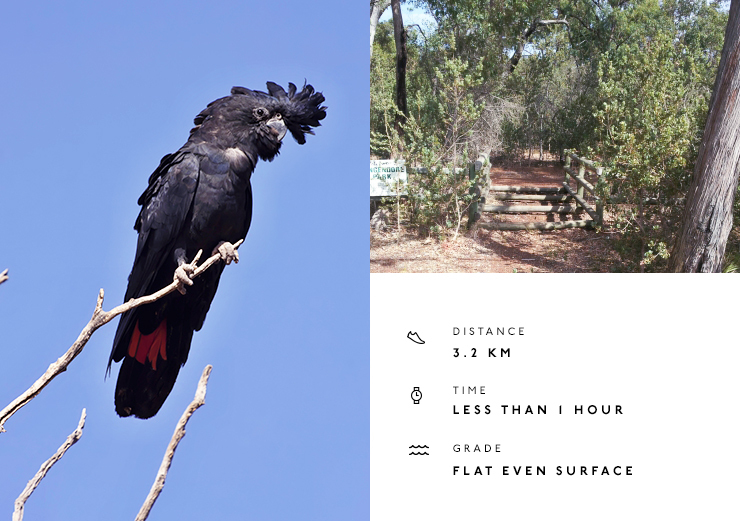 Just an hour out of Perth, the Coastal Plain Walk Trail covers Yanchep National Park and Melaleuca Conservation Park. Walk through the inland coastal plain past wildflowers that bloom even in the winter and camp at the three overnight shelters where you'll find toilets, rainwater tanks and a fire ring. 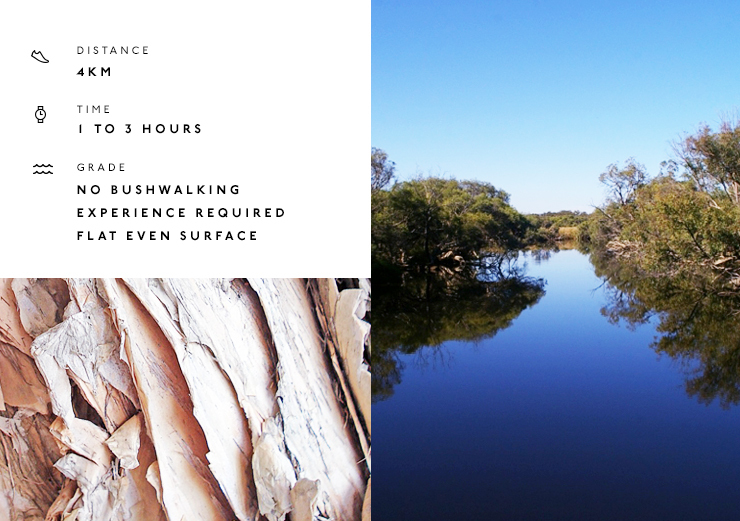 Wander through the beautiful Jarrah Forrest in the Perth Hills and trace the edge of the Helena River Valley in this half day, family-friendly trail just 45 minutes east of Perth. The Dell to South Ledge trail gives you a chance to explore Beelu National Park, which eventually joins up with the Bibbulmun Track. The halfway point includes the Golden Lookout, a timber platform with panoramic views of Mundaring Weir and Lake CY O’Conner. With views of the Swan Coastal Plain to Perth City and the ocean in the distance, Eagle View Walk covers pristinely conserved habitats including waterfalls and wildflowers in the spring. Explore the Darling Ranges of John Forest National Park on this loop trail that passes heathlands, wandoo woodlands and a mixed jarrah-marri and wandoo forest. 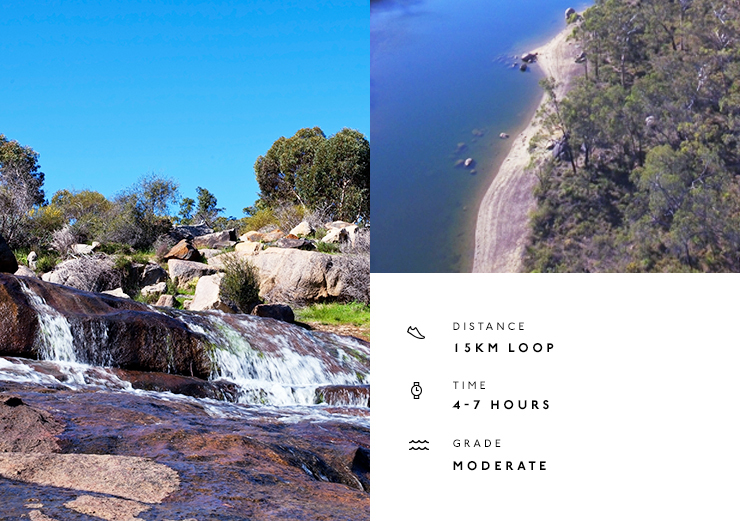 With plenty of high vantage points, valleys, creeklines and hills to explore on your way, Hovea Falls is the perfect pit stop for a much deserved picnic and refuel. Ascending steeply along the Avon River and Syd’s Rapids, the Echidna Trail passes through marri and wandoo woodland, currently thick with regrowth after recent bushfires. 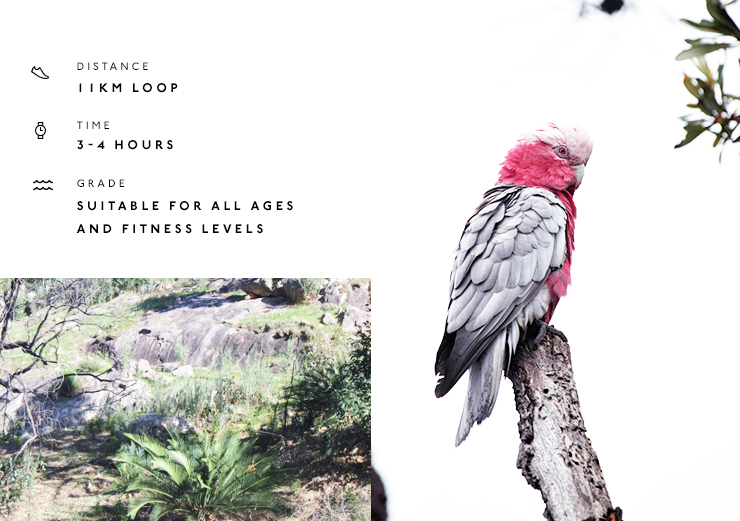 As you ascend up the trail, you’ll find views of the picturesque Avon Valley before looping back past heathlands of gravilleas, hakeas and triggerplants and the diverse birdlife that lives amongst it, including galah’s, parrots, thornbills and fantails. If you’re craving nature, this half day trail is the perfect escape and only an hour out of Perth. A weekend in Rottnest is something we’d never say no to, and with so many beautiful trails to explore, there’s even more reason to get there ASAP. The Gabbi Karniny Bidi trail is an A class nature reserve and will take about half a day to hike past its inland lake systems and areas that have been restricted in the past. 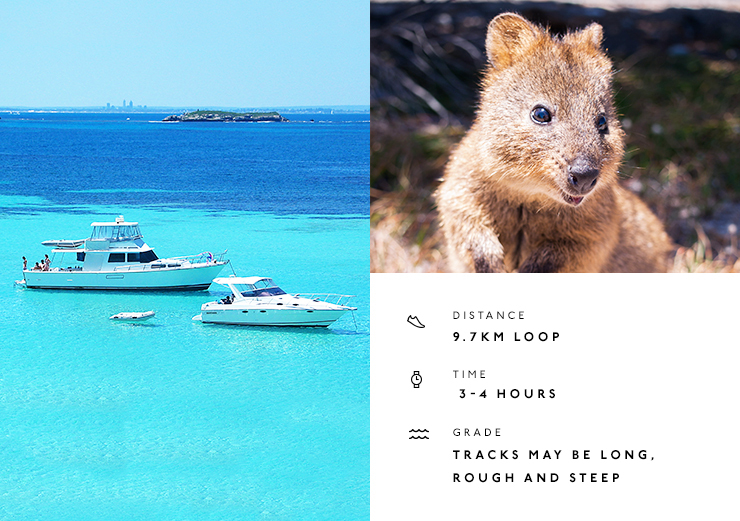 You’ll find an abundance of migratory birdlife, unique lakeside vegetation and of course plenty of encounters with the worlds cutest animal exclusive to Rotto; the Quokka. As a grade 4 trail, this one is for the hiking enthusiasts among us and will require stores of snacks, water and snorkelling gear to take advantage of the watering holes along the way. Only an hour and a half out of Perth, you’ll want to check the weather before planning a daytrip to this trail, because the Island Pool is a great spot to go for a swim, paddleboard, canoe or picnic after an hour walking. 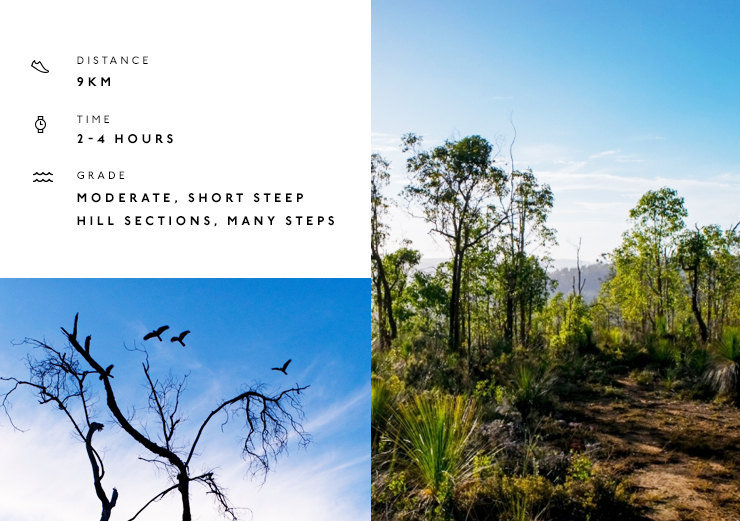 While it’s only an hour, some bushwalking experience is recommended as there are short steep sections and rough surfaces with a fair few steps, but don't worry too much, the trail is still suitable for all ages and fitness levels. 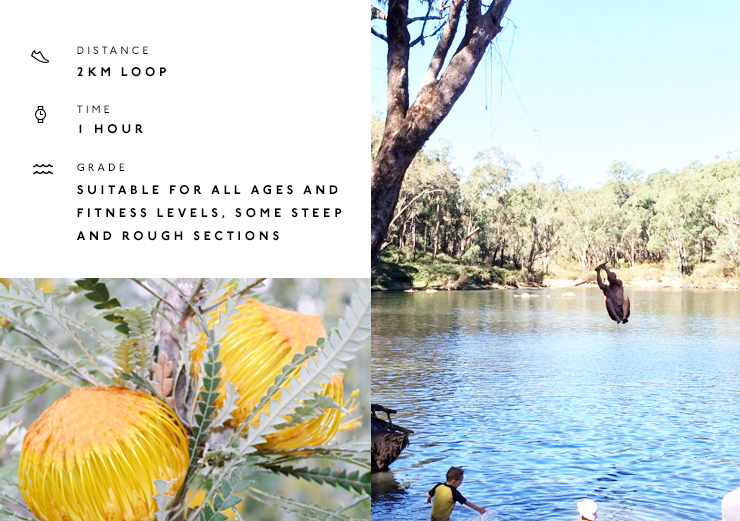 The trail traverses alongside the Murray River valley, providing beautiful views of the valley and river and in Spring you’ll find wildflowers blooming everywhere. 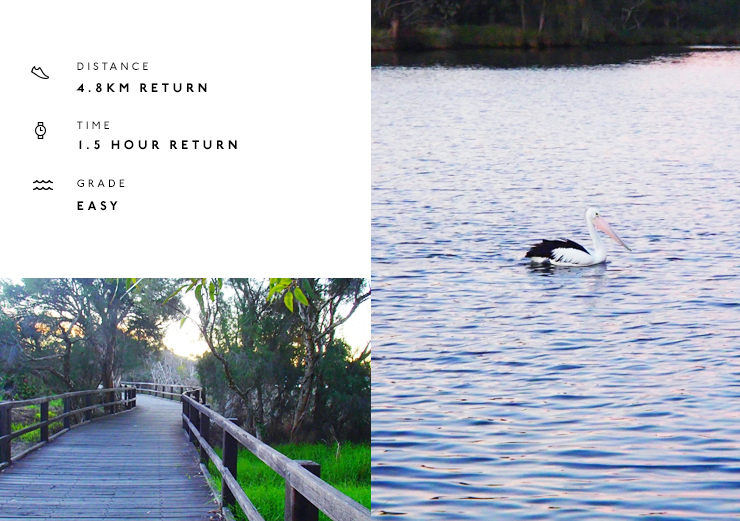 Suitable for both walking and cycling, the Lagoon to Living Streams Walk meanders past sheoak, paperbark and flooded gum trees along the canning river and is only a 20 minute drive from the Perth. Following the Canning River Reserve and Riverton Bridge, dogs are allowed on this one as long as they’re on a lead. The Sixty Foot Falls Trail is short and sweet. Woops, we mean steep, not sweet, sorry about that. But don't worry, while there are steep sections, it only takes about an hour and the reward is worth it. 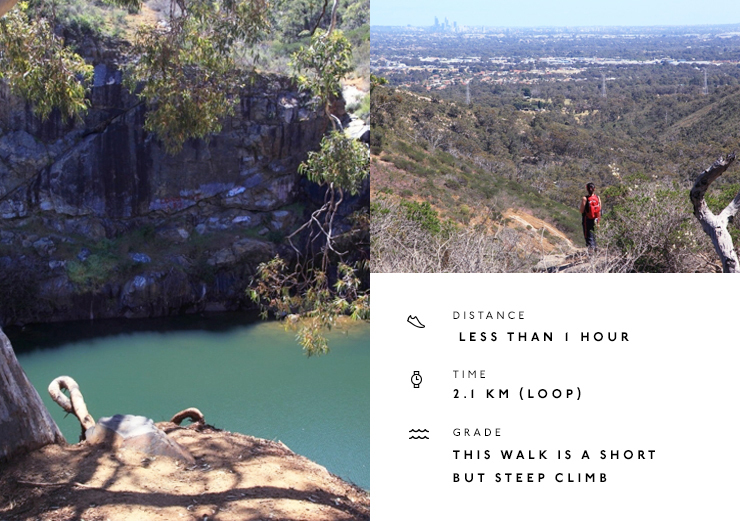 This one takes to you the top of Sixty Foot Falls where you'll get some of the best possible views of Perth, before heading down past the old Barrington Quarry. Make sure you phone is charged, you're going to want to 'gram this one. Want more outdoor action? Check out these top Perth snorkelling spots.